We are only a few hours away from the CES Conferences of Nvidia and AMD and a new gaming company has just sent out invitations stating its debut. You might remember the mysterious invitations that were sent out a few weeks back? Well Alienware and Razer Beware, there’s a new omni-gaming player in town. We made predictions (mostly divided into Laptop Vs Peripheral) on what AORUS would be during its hush hush stage and it turns out we were more or less right. AORUS will focus on just about gaming related. 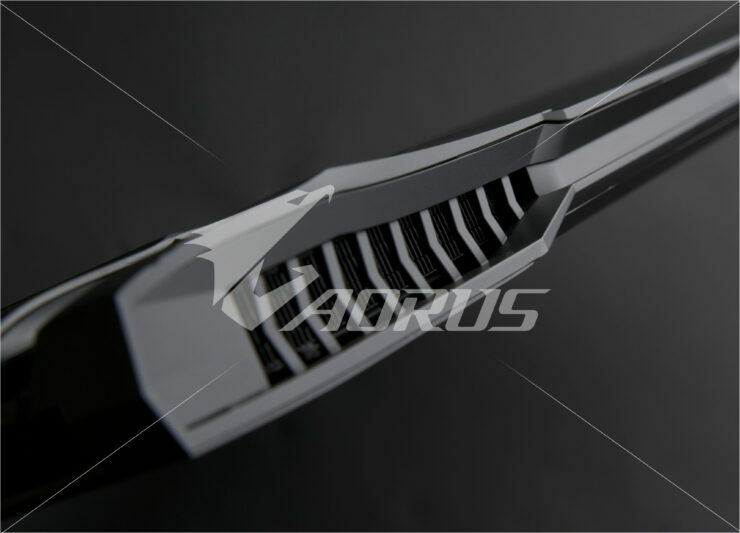 From the information we have so far, AORUS will be a Gaming Notebook and Gaming Peripheral company. Rather like Razer, Infact probably in direct competition. Their slogan ” Witness Dawn of A New Era” suggests great ambition on their part and if even a fraction of the hype is true then we might just get a worthy competitor. Which is good news for everyone. Featuring Egyptian Hieroglyphs and a claws outstretched eagle, this new arrival appears to be a major one. Competition is what drives innovation and keeps prices low and that is exactly what we are hoping from AORUS. Not only that we have information on one of their Gaming Notebooks. 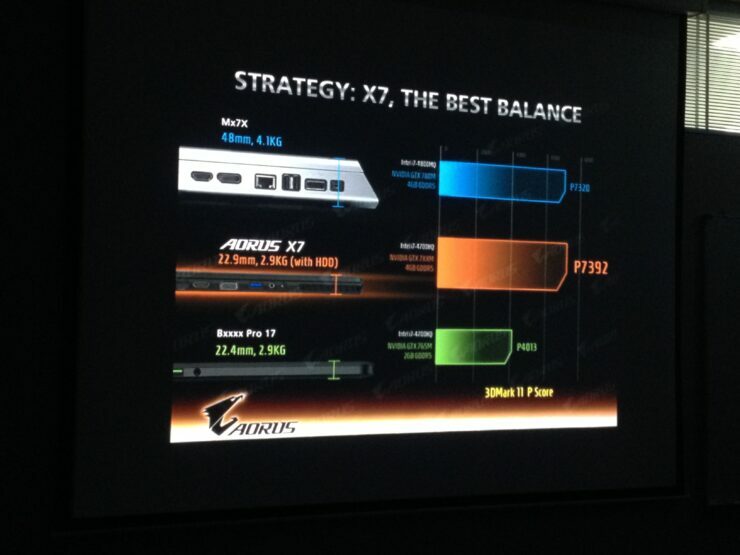 The Gaming Notebook will be called the AORUS X7 (Gaming Notebook) and is supposed to be an original design. The AORUS X7 apparently smokes both the Alienware M17x and the RAZER Blade Pro. The little information we have of their Gaming Peripheral is also quite promising. The designs look highly aesthetic, slim and functional. They appear to have both looks and capability and of course, originality never goes unrewarding. 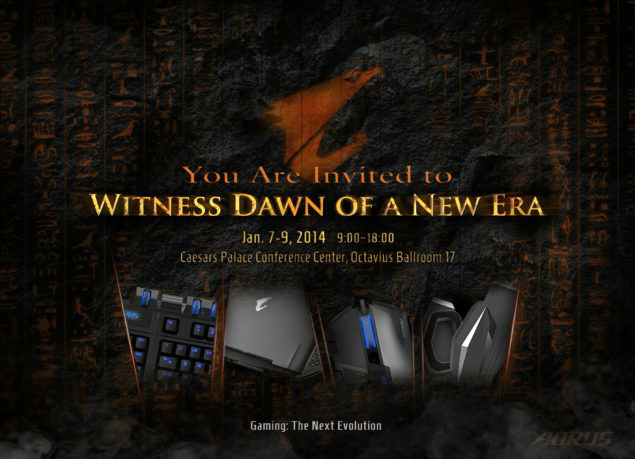 AORUS will debut on January 7 in the Ceasars Palace Conference Center, Octavius Ballroom 17 at 9 AM.